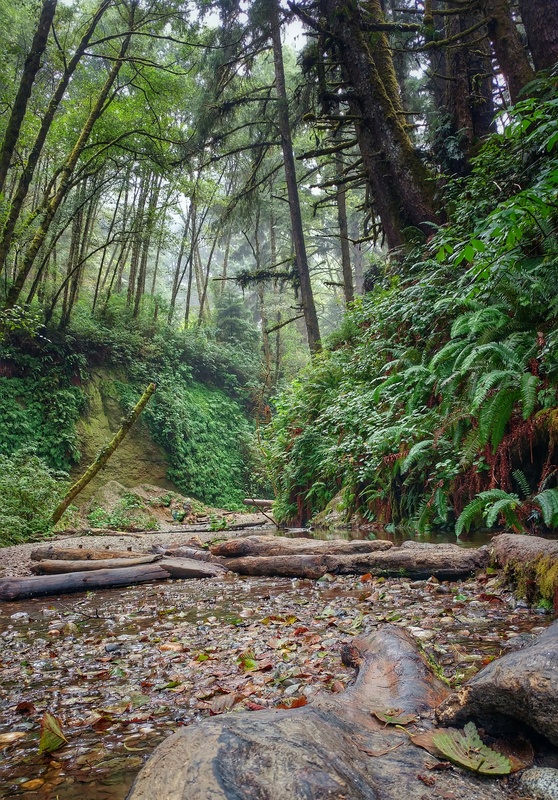 Fern Canyon, located in Prairie Creek Redwoods State Park, has been on my must-see list ever since I saw it on an episode of California Gold with Huell Howser. I was instantly captivated by the lush greenery and the magic of the place. 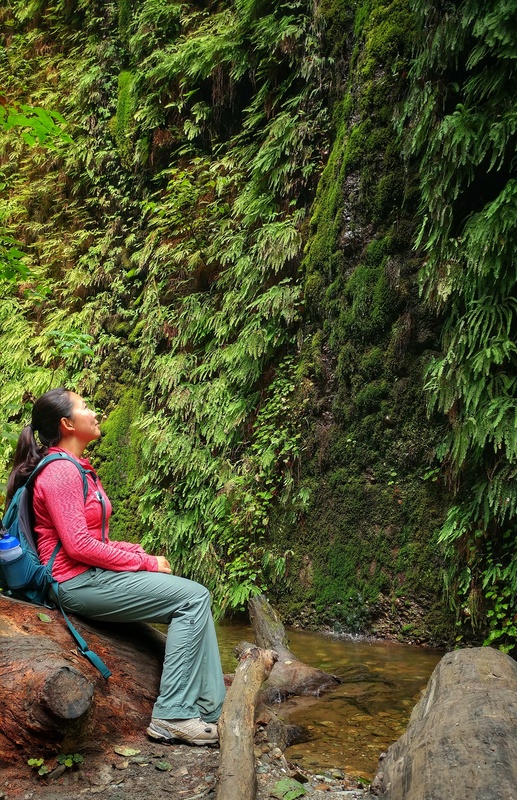 Visiting it in person definitely doesn’t disappoint — picture a narrow canyon with crunchy pebbles and rocks underfoot and 40 to 50 foot canyon walls covered in lush ferns. If you listen carefully, you can hear the rhythmic drip, drip, drip of water traveling off the edge of the canyon walls and down the fern leaves. It was a magical fairyland.